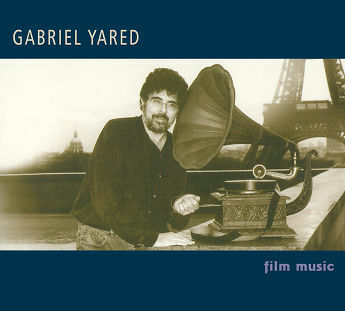 Música compuesta por Gabriel Yared. Película dirigida por Jean-Jacques Beineix. Interpretada por Gérard Depardieu, Nastassja Kinski, Victoria Abril, Bertice Reading, Gabriel Monnet, Dominique Pinon, Milena Vukotic, Vittorio Mezzogiorno, etc. Película dirigida por Jean-Pierre Mocky. Interpretada por Catherine Deneuve, Richard Bohringer, Tom Novembre, Dominique Lavanant, Sophie Moyse, Kristin Scott Thomas, Héléna Manson, Hervé Pauchon, etc. Película dirigida por Axel Corti. Interpretada por Timothy Dalton, Valeria Golino, Stéphane Freiss, Robin Renucci, Margaret Tyzack, Eleanor David, Paul Crauchet, Amy Werba, Franco Valobra, Francesca Reggiani, etc. Película dirigida por Robert Altman. Interpretada por Tim Roth, Paul Rhys, Adrian Brine, Jean-François Perrier, Yves Dangerfield, Hans Kesting, Peter Tuinman, Marie Louise Stheins, Oda Spelbos, etc. Película dirigida por Jean-Jacques Annaud. Interpretada por Jane March, Tony Leung Ka Fai, Frédérique Meininger, Arnaud Giovaninetti, Melvil Poupaud, Lisa Faulkner, Xiem Mang, Philippe Le Dem, etc. Película dirigida por Jean-Jacques Beineix. Interpretada por Yves Montand, Olivier Martinez, Sekkou Sall, Géraldine Pailhas, Colette Renard, Sotigui Kouyaté, Georges Staquet, Arlette Didier, Kleber Bouzzone, etc. Película dirigida por Vincent Ward. Interpretada por Jason Scott Lee, Robert Joamie, Anne Parillaud, Annie Galipeau, Patrick Bergin, Clotilde Courau, John Cusack, Jeanne Moreau, Ben Mendelsohn, Jerry Snell, etc. Película de IMAX dirigida por Jean-Jacques Annaud. Interpretada por Val Kilmer, Craig Sheffer, Elizabeth McGovern, Tom Hulce, Ken Pogue, Ron Sauvé, Molly Parker, etc. Película dirigida por Anthony Minghella. Interpretada por Ralph Fiennes, Juliette Binoche, Willem Dafoe, Kristin Scott Thomas, Naveen Andrews, Colin Firth, Julian Wadham, Jürgen Prochnow, Kevin Whately, etc. Película dirigida por Brad Silberling. Interpretada por Nicolas Cage, Meg Ryan, Andre Braugher, Dennis Franz, Colm Feore, Robin Bartlett, Joanna Merlin, Sarah Dampf, Rhonda Dotson, etc. Película dirigida por Anthony Minghella. Interpretada por Matt Damon, Gwyneth Paltrow, Jude Law, Cate Blanchett, Philip Seymour Hoffman, Jack Davenport, James Rebhorn, Sergio Rubini, Philip Baker Hall, etc. Película dirigida por Luis Mandoki. Interpretada por Kevin Costner, Robin Wright Penn, Paul Newman, John Savage, Illeana Douglas, Robbie Coltrane, Jesse James, Bethel Leslie, Tom Aldredge, Viveka Davis, etc. Película dirigida por Joan Chen. Interpretada por Richard Gere, Winona Ryder, Anthony LaPaglia, Elaine Stritch, Vera Farmiga, Sherry Stringfield, Mary Beth Hurt, Jill Hennessy, J.K. Simmons, etc. Película dirigida por Neil LaBute. Interpretada por Gwyneth Paltrow, Aaron Eckhart, Jeremy Northam, Jennifer Ehle, Lena Headey, Holly Aird, Toby Stephens, Trevor Eve, Tom Hickey, Georgia Mackenzie, etc.